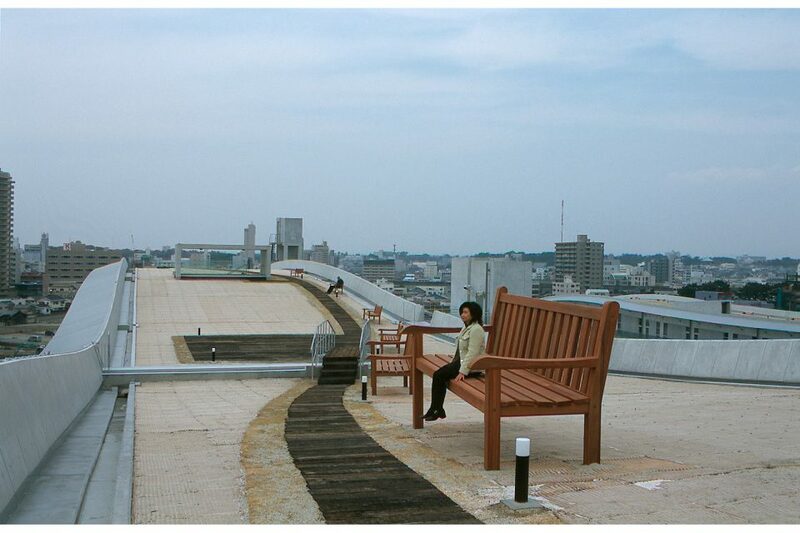 Seven garden benches are placed along a path on the wavy, curved roof garden of the University of Hamamatsu. The garden benches are in the classic English style and of various sizes. While the smallest bench is only 30 cm high, the largest is more than 2 meters. Reliable scales are lacking; only one bench exhibits “normal” dimensions. The benches connect various aspects of the architecture and the particular site. 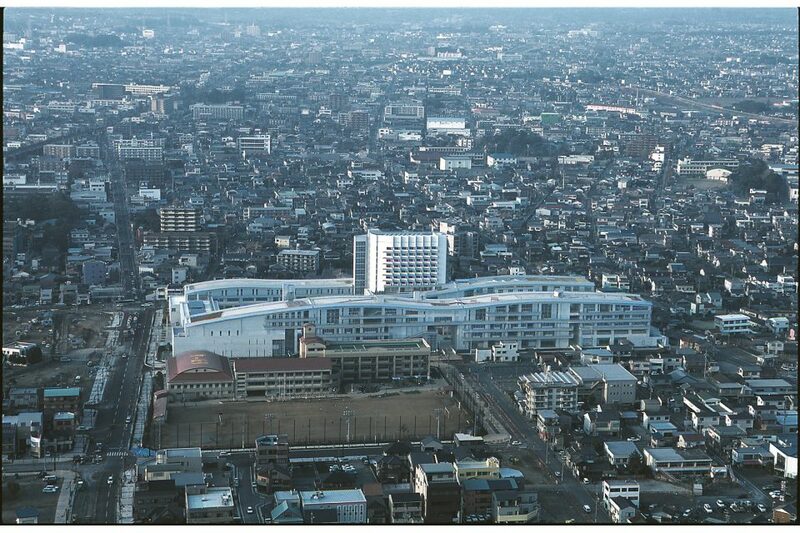 They define the roof garden as a natural park landscape and invite the visitor to linger and observe the view of the city’s skyline. 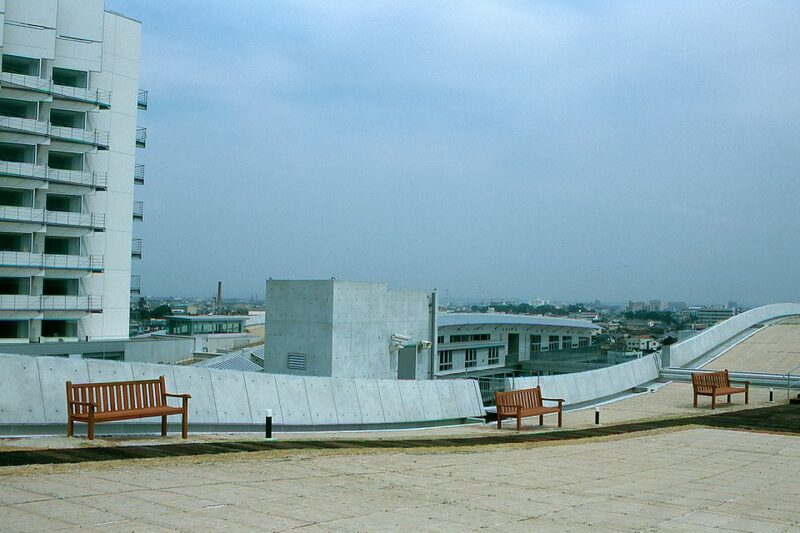 As a comprehensive sculpture, the benches take up the entire length of the roof; their range of dimensions supports the wave motion of the roof.